2013 Oscars Boast Colorful Jewels and Gowns! During the 85th Academy Awards last night, it seemed that all the rage on the red carpet was “neutral.” We saw lots of beige, creme and silver. We were happy to see however, that a few stunning (and brave) actresses sported their true colors along with some Omi Privé fine jewelry! Sadie Alexandru, on screen known as the sassy secretary, Scarlett, from AMC’s Emmy Award Winning show ““Mad Men,” complimented the red carpet with her sapphire and diamond Omi Privé suite. Best known for her roll as “Scarlett” on “Mad Men,” Sadie Alexandru accompanied her sparkling dress and smile with an Omi Privé sapphire and diamond ring, bracelet and earrings. Sadie wears Omi Privé’s sapphire and diamond bracelet featuring 10.64 carats of round sapphires accented by 7.47 carats of brilliant round diamonds. 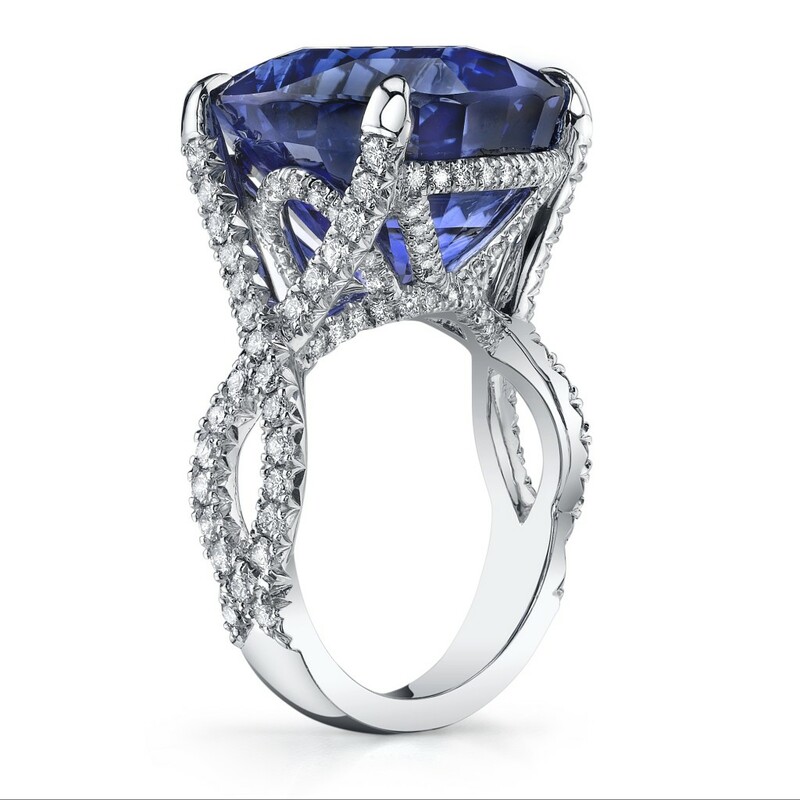 Additionally, this Omi Privé sapphire ring stunner features a 7.51 carat oval center surrounded by 1.19 carats of sparkling round diamonds. Sadie’s Omi Privé earrings are handcrafted with two pear shaped sapphires totaling 8.04 carats cradled by 1.17 carats of diamonds. Always stunning, Jennifer Garner chose a fabulous Gucci gown reminiscent of Pantone’s Fall color, Acai. An alexandrite ring would be the perfect compliment to a dress like Jennifer’s, as it would highlight the natural purple hues in the nighttime and onstage lighting. Red hot on the red carpet, Jennifer Aniston could “Samba” all night rocking this hot Pantone color! Of course, rubies are the classic choice to pair with the red of Jennifer Aniston’s dress. 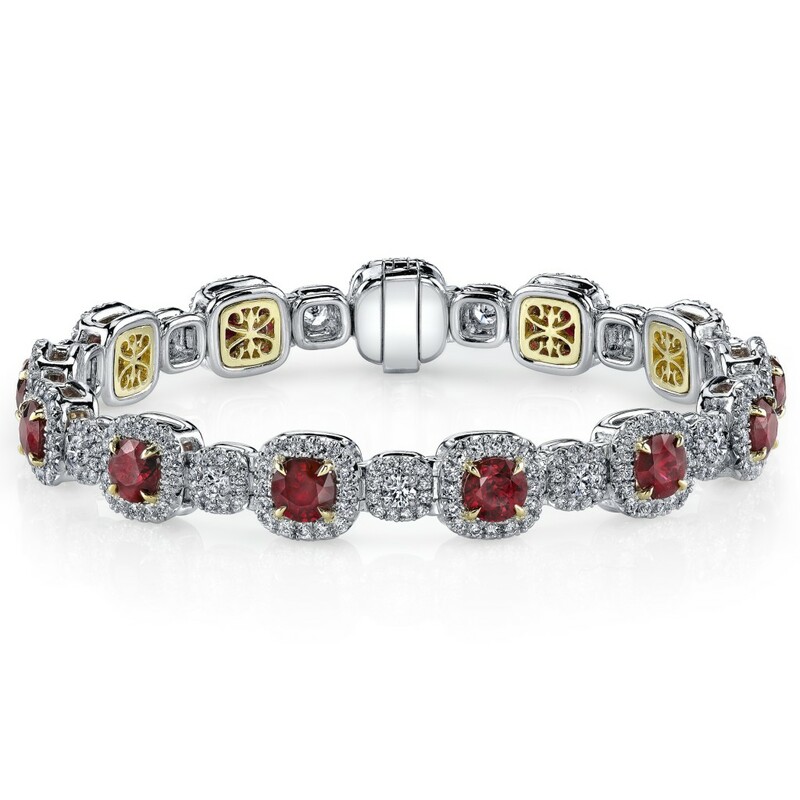 We think this ruby and diamond bracelet featuring 13 deep red round rubies would be the perfect compliment! 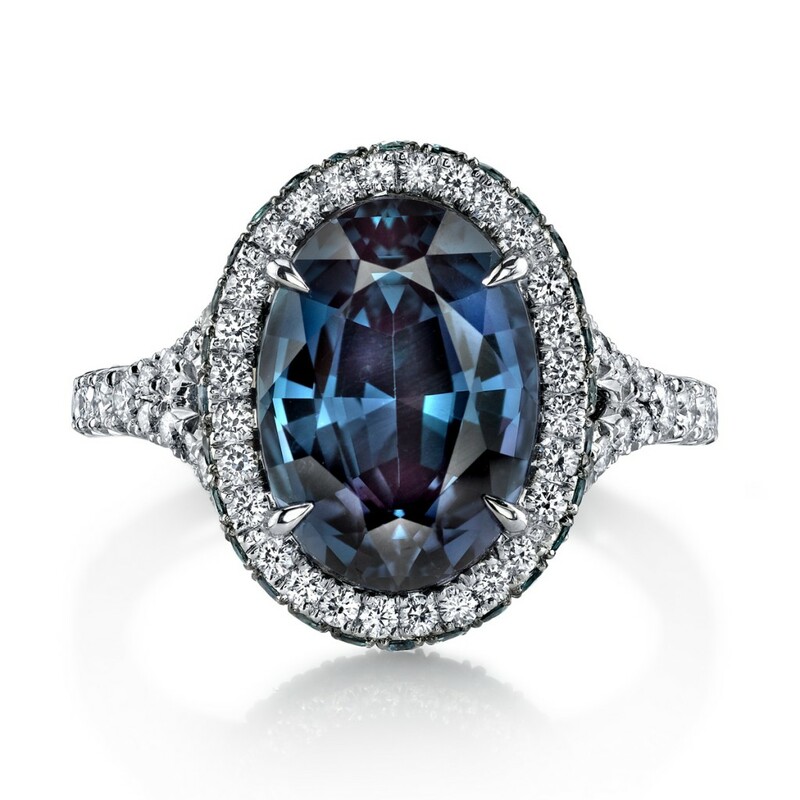 Reese Witherspoon should have wowed the crowd with a stunning sapphire cocktail ring. That would have definitely popped on the red carpet with her electric blue gown! 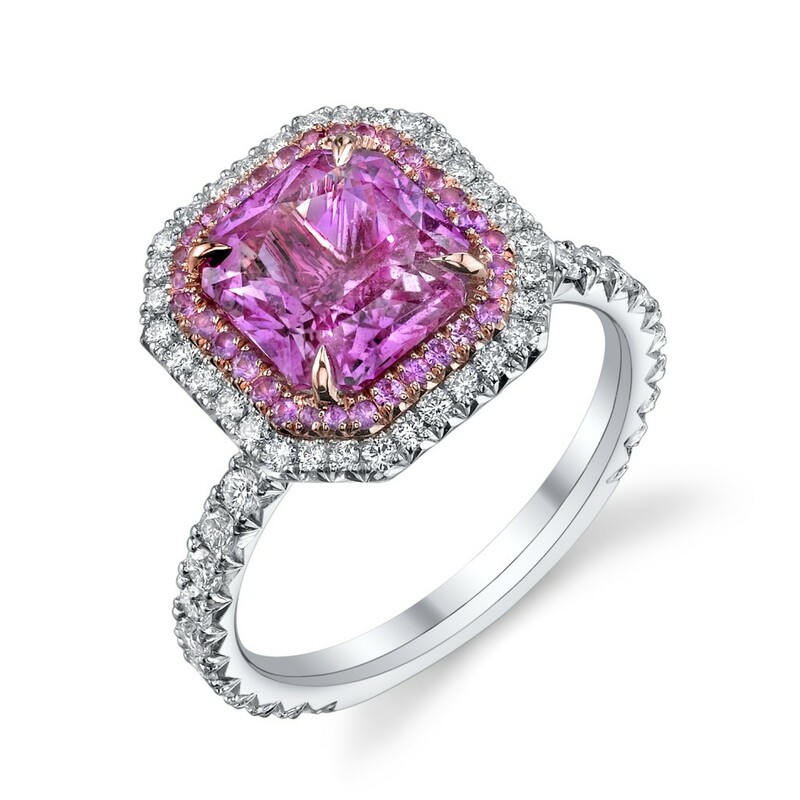 Correspondant for the Today show, Maria Menounos, glows in pinks similar to Pantone Fall 2013 color “Vivacious.” Pink sapphire, spinel or pink tourmaline all provide vibrant pink hues. Keep up with red carpet styles by showing your color! View all of the Fall Pantone colors here, and when you’re looking for those colors to compliment an ensemble, view the Omi Privé collection on our website. One Response to 2013 Oscars Boast Colorful Jewels and Gowns!